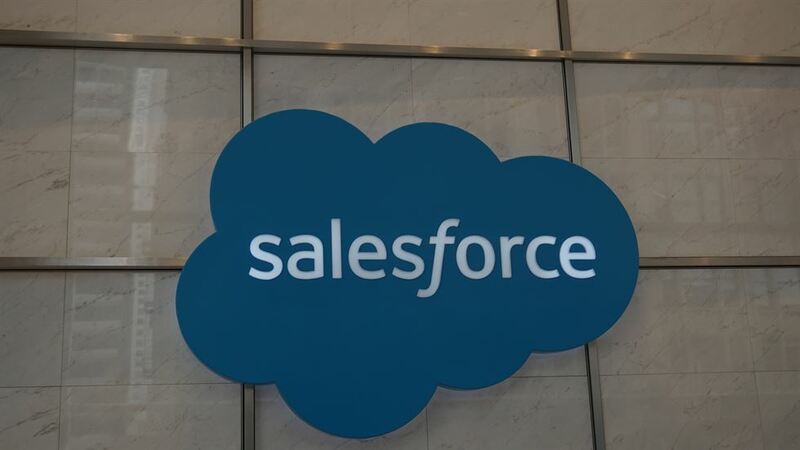 Salesforce is the world's leading customer relationship management system provider in San Francisco, founded by Marc Benioff, a former Oracle executive in 1999. It is composed of salesforce.com and salseforce.org. The first, a very successful commercial entity, proves Benioff's business acumen, but the latter shows his extraordinary large heart for giving with its own self-sustainable model. The Korea Times visited its headquarters and spoke with Jamie Olsen, senior director of employee engagement, at saleforce.org. ― ED. Question: What is salesforce.org's primary mission? Answer: We have always provided products to nonprofit and education areas since the beginning. The core belief is that nonprofits should take advantage of world-class technologies just like any for-profit companies should to help them advance their missions rather than worrying about system and technology to track things and administer their program. At the core, every nonprofit organization can receive 10 free licenses from salesforce.org. and from the 11th on, it is offered with stiff discounts. They get this as long as they are nonprofit, remain nonprofit or registered charities in their countries of origin; and get the support that comes along with that like any other customer would. We customize the products by working hand in hand with them to understand their needs. Q: What is Salesforce's business model? A: Originally when we started the foundation, we had 1-1-1 model _ giving 1 percent of time, products and financial resources back to the community. Since then we have developed into a social enterprise. So we were founded with equity from the company, but eventually that equity ran out. We sought a unique opportunity to develop a unique model so revenue does come in from big organizations whose needs far exceed those 10 free licenses, such as the Red Cross and "Teach for America." The revenue we get from them is fed into grants and investments we give back to the community. Every employee has a $5,000 matching grant every year. In total, that allows us to give $230 million in investment back to the community over our almost 20 years in existence. Q: How does Philanthropy Cloud work into your bottom line? A:Philanthropy hit the ground in June and is very much a new product. It is a unique cloud that is focused on putting technology in the hands of a for-profit company. It is something SK Group may use to drive engagement with its employees. It also has benefits for nonprofits as it allows for very innovative tools to promote causes and initiatives that employees are passionate about within their companies so nonprofits can gain a lot of visibility. Philanthropy is not something nonprofits use, while our two other products are for nonprofit and education purposes. Lyft, a rideshare company in the United States, has chosen Philanthropy Cloud for more than 3,000 Lyft employees, enabling them to raise funds, organize volunteer activities, and engage in advocacy opportunities. Q: How does salesforce.org make ends meet? A: We make sure our lights are on and our employees are compensated. It may sound like a cliche, but it is about supporting our community. We are very fortunate to be tied with this incredibly successful for-profit company, salesforce.com. People working in salesforce.org and salesforce.com are passionate in feeling about it. That brings them to work every day and that makes us want to do what we are doing ― to sell more products so we can give more back to the community. Q: Do you have tools to measure your achievements? A: It is a challenging area. We have an internal tool to manage all our programs. Everyone volunteers so it gives us a bottom line number, which is a key statistic we use heavily. We also have an impact measurement team and logic model to tie it all back to our investment so we can actually track concrete community benefits that have been created by the work we have been able to do. Salesforce's logo is shown at the entrance of its headquarters tower in San Francisco. Q: How much do you plan to give back to the community? A: Our grant budget is $50 million this year. Besides our cloud sales, every one of our 32,000 employees has a $5000 matching grant every year. Q: What role does the company leadership play? Our CEO Marc Benioff firmly believes that the business of business is changing the world, not just the business of doing business. He feels it is important for corporations to give back to the communities and to be committed to the community as well as stakeholders and shareholders. The leadership is very supportive of our employees utilizing their giving-back benefits to get involved in the community. They openly and transparently give permission for their team members to go and volunteer. Everyone has seven paid days of volunteer work a year. Second to that is that all of our executives have causes they feel passionate about. They publicize and lead the way to bring people to those issue areas along with them. Q: What is the Ohana culture? A: Our CEO Benioff took a break from his Oracle work to spend time in Hawaii and came out with the new idea of this company. In Ohana, we are a family so we are on an equal playing field. Especially in giving back, someone just starting off on their career, sales force would value it just as much as one executive is passionate about it.